To understand Digital Marketing we have to start with how marketing was conducted in older times. Picture an entire department sitting somewhere inside an advertising agency. For a long time, they were experts at holding the attention of people and convincing them to buy products. They could create demand out of thin air. Over the last century, they have thrived on channels like radio, newspapers, television, and billboards. The people working in these agencies had a great run until the 90s. That’s when a revolution called Digital Marketing came about that threatened to change the entire order of business. The ‘internet’ took the world by storm and completely changed the way in which people interacted. In a sense, the internet democratized information. People could now transmit their own messages and stay connected to each other. The major advantage that networks like T.V. and radio had was that they could transmit information to a large number of people. Marketers used this very feature to transmit messages to customers using these channels. The internet was the new channel and most people realized that it would a game changer. People were rushing in bulk to cash in on the revolution. And thus, ‘Digital Marketing’ was born. Okay, enough of the history. Most people wonder how Digital Marketing works. One common belief is that it has something to do with technology and a person who is not tech savvy will not be able to get a grasp on Digital Marketing. No one needs to be a technical wizard to understand Digital Marketing. Marketing is all about connecting with people and burning a perception of a brand into their mind. Digital Marketing is just another channel and provides certain tools to marketers that enable them to better target an audience. Digital Marketing is essentially the use of online channels to reach customers and convince them to buy a product/service. Remember those people in the old days of radio and T.V.? They consumed content on a daily basis. Sure, they had a choice between different channels on the T.V. or the radio. But they were bound by the content of the channel of their choice. The internet freed customers from these limitations. The customers in the internet age are connected to other customers. They enjoy creating their own content and sharing it with friends. They love the variety of choices that they have and are content creators and consumers at the same time. No marketer can afford to engage such audiences with one-way communication. One of the keys to a good Digital Marketing strategy is establishing a meaningful dialogue with the new age customer. 1. Achieve Your Objectives: Because of its massive reach and the presence of many different channels, Digital Marketing can help your business achieve multiple objectives. You can use Digital Marketing to increase sales, establish a global footprint and boost brand visibility. 2. Your Customer is Online: Millions of customers are online at any given point in time. They are searching for products, sharing information about companies and making their purchases without ever visiting a store. Think of the massive potential in terms of sales and volume. Digital Marketing is ideally suited to target online customers. Many years ago the founders of Google were working on identifying an algorithm to enable users to easily search web pages on the internet. Search helped users navigate web pages and find relevant content. Today users go to Google and type in the word or phrase they are searching for. Google shows them a list of relevant results and they visit those websites. The internet is not like a market where a user stumbles around and encounters your shop. The only way a user will visit your website is if there is it shows up as a result of his query on a search engine. User A wants to buy hiking shoes. He goes on google and enters ‘Hiking Shoes’. This is what Google returns. If you look closely the first 3 results are advertisements. This is how marketers have incorporated search in their marketing strategy. Advertisements are placed in a targeted fashion. 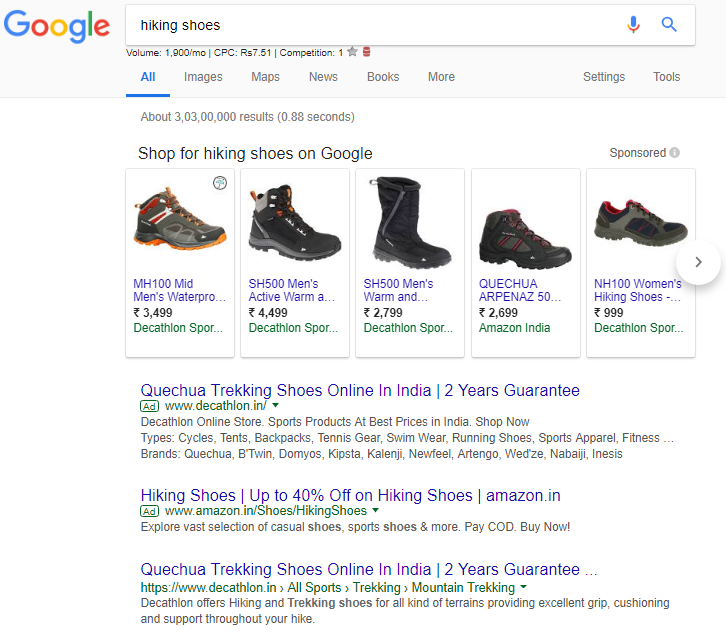 A user searching for the ‘keyword’ hiking shoes will be shown Hiking shoes. He will not be shown tennis balls or hiking shorts. 2. SEO Leads have a close rate of 15 % because they have a targeted audience. How Can I Get A Rank On Search Engines? The first part of this puzzle is to understand the goals of search engines. Search Engines are focused on delivering timely, relevant and high-quality information to their customers. A good search engine will provide high-quality content to its users on a regular basis and will attract more marketers. 1. Crawling: To return the best results, Search engines go through billions of web pages and analyze the information present. They have ‘bots’ that crawl the web and synthesize the information that is present. 2. Indexing: The information retrieved in this fashion is then indexed by the search engine. Not all pages are indexed as search engines sort through web pages by relevance. It is not possible to know the total number of indexed pages on a search engine, and one can safely assume that it is a huge number. 2. Focus on Keywords: The bot looks for keywords in the content of the website. Selection and insertion of the right keyword is a very crucial part of the SEO strategy. 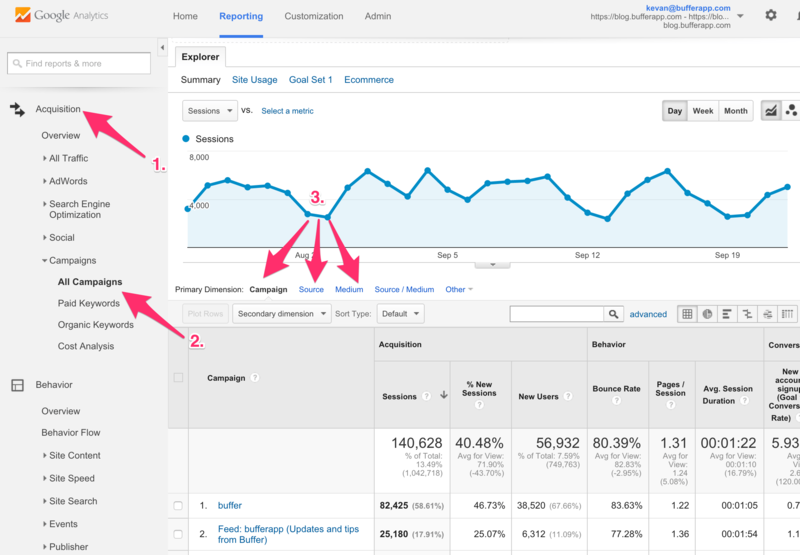 The best way to understand keyword selection is to think from the perspective of a user. The terms a user will type into the search engine is the main keyword. Various combinations of these keywords need to be incorporated into the content in order to cover all possible variations of the search. 3. Follow your competitors: The websites of your major competitors can provide valuable insight when preparing an SEO strategy. There are many tools out there that will let you know the keywords that your competitors have optimized their site for. 4. Long Tail vs Short Tail: Basically, short tail keywords are composed of short individual phrases and are very general in nature. Long-tail keywords are composed of longer phrases or short sentences. These keywords are not that highly trafficked and have a greater scope of being picked up by search engines. Volume: The number of people actually searching that term. Profitability: A potential for the keyword to yield traffic that will convert. 5. PageWise SEO: The art of SEO is to optimize your site, one page at a time. Find specific keywords for a particular page and provide valuable information for those keywords. Individual pages with keywords increase the probability that your page will rank for one of those keywords. Email marketing remains one of the best mediums of communicating with an audience. Most people check their mail multiple times in a day and carefully go over the contents. Before any email marketing campaign, you must try and understand the customer’s perspective. A customer will open your email if it contains valuable, information or insight. A customer will however completely filter out your email if it seems like spam or is too promotional. What should your Emailer Contain? 1. Product Launches: Try and provide a perspective on why a particular product will be useful for a customer. Instead of pushing a product aggressively, try and relate the product to a personal need of the customer. 2. Newsletter: This is a way for you to stay connected to your customer. The main purpose of a newsletter is to build credibility in the eyes of the customer by offering valuable information relevant to them on a regular basis. Encourage your customers to opt-in for your emails whenever they are browsing your website. You can also ask them to enter their email id’s when they visit your website. Apart from this method, you can encourage customers to opt-in for your email list by offering them something in return. You can offer those customers whitepapers, case studies and informative content in return for their email id. Once your list is ready and you have a target audience in mind, you can send the email. There are quite a few email marketing tools in the market that will allow you to send the email at a low cost. 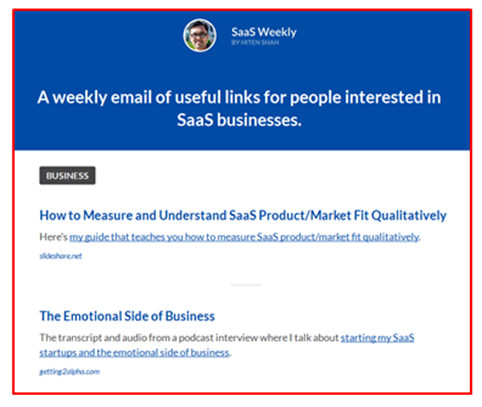 MailChimp is one example of such a tool. 1. Open Rate: Number of people that opened the email. 2. Click Through Rate: The specific links in your email that people clicked on. 3. Website Visit %: The percentage of people that clicked on your email and went on to visit your website. 4. Blocked: Which email or campaign was considered spam and was not delivered to email subscribers. 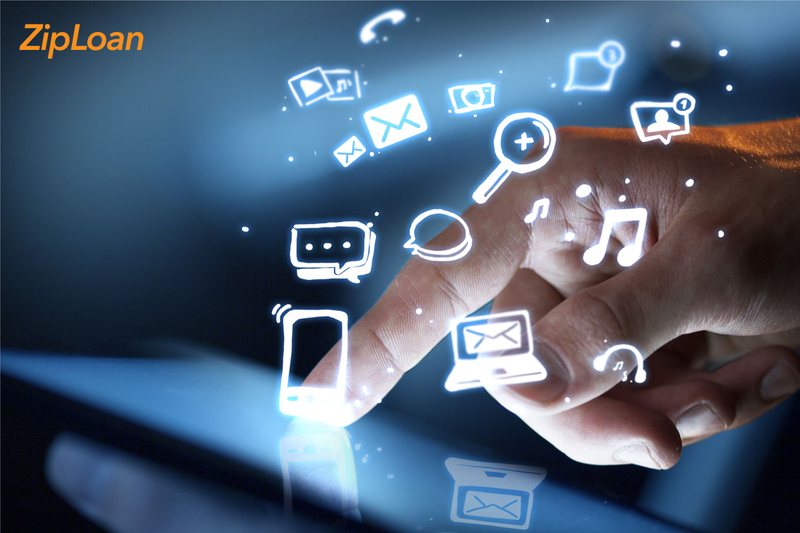 The most draw-worthy feature of digital marketing was the rise of ‘Click’. Advertisers could place their ads on different channels and measure the efficacy by checking the number of clicks. Organic listings can take a long time, therefore some marketers prefer to create an advertisement. 1. You identify the keywords that a user will type in when he searches for your product/service. 2. 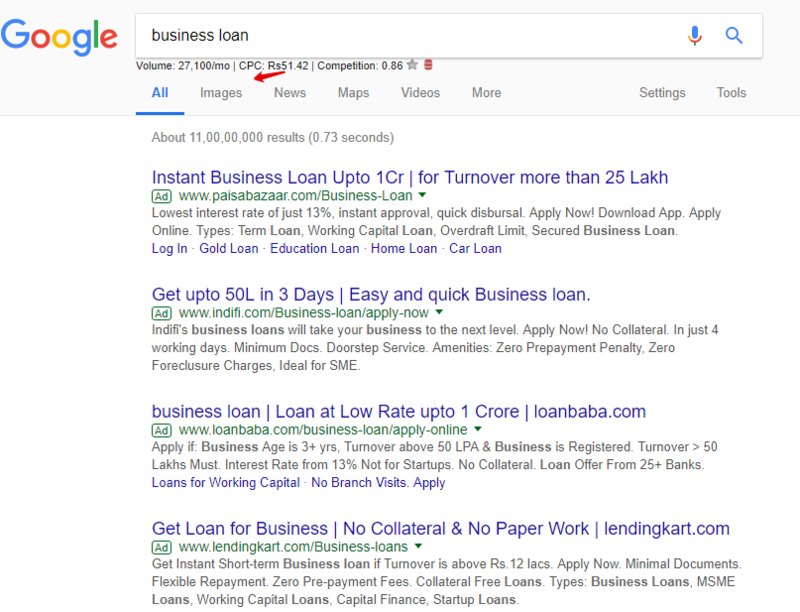 You pay the search engine a certain amount of money to display your ad on the results page when the results are displayed by the search engine. 3. When the user clicks on the Ad, you get a new visitor and the search engine bills you for the click. A Note on Ad Placement: The Pay Per Click Ads on Search Engines are bid on by advertisers in a system that is similar to an auction. The higher the bid per click, the higher the ad will rank in the Search Engine Results Page(SERP). Immediate Results: Organic Rankings and SEO strategies can take months to rank your page. With an advertisement, you can find your customers easily. Targeted Customer: Your ads will only be shown to customers that are searching for the particular keyword on the search engine. Therefore, it is likely that you will be able to reach your target audience effectively. 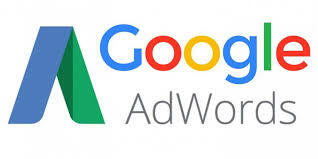 Pay Per Click Model: You only pay for the ad when a user clicks on it. The amount charged is based on the number of clicks multiplied by your bid. The cost per click for this Keyword is Rs.51.42. Your competitors with a large budget can afford this cost. However, you want to find customer without paying such a large amount. The cost per click here is Rs. 36.54 compared to nearly Rs. 51 for the last keyword. This way you can reach your customers without directly competing with your competitors with a large budget. 1. Make Great Ads: The entire purpose of an ad is to entice a user to click. Your message must be compelling and the features of your product should be clearly outlined. Put yourself in your customer’s shoes and write great copy. Space is limited so be creative! 2. Post Click Strategy: So you got the right keyword, wrote good copy and got a customer to click. It is important to know what will happen after the click. Direct them to your Landing Page and not your website Home Page. The Landing Page should serve the express purpose of converting the prospective customer into a paying customer. This metric is termed as the Conversion Rate. Try and make this process as easy and streamlined as you can for your customer. 3. Testing: Odds are that you will have to experiment with various search keywords and landing page configurations before you achieve the desired conversion rate. It is important to test the conversion rate of different campaigns and settle for one that is most suitable. Following these strategies can enable you to kick-start paid advertising for your Digital Marketing campaign. Social Media is a term that encompasses different platform that allows individuals to interact, share and communicate with each other. Users are able to share and discuss their product preferences and purchases. This is why it is very important for any business to have a social media presence. After all, it is necessary to be where the conversation is! Customer Oriented: The social media world is led by individuals and customers. They can openly discuss any aspects of your product and criticize or praise it. Social Media marketing is all about engaging with the customer and starting a conversation about your product/service. There is no need to be overtly promotional as unlike traditional marketing, social media is a dialogue. The most obvious examples of the prominence of social media are the rise of social networks. Facebook, Twitter, and Linkedin constitute the holy trinity of these networks. With millions of users browsing these sites daily, marketers can easily reach their target audience. 1. Paid Advertising: Most social networks offer paid advertising. Facebook has a panel for marketers, which they can use to push advertisements directly to their audience. The Pay Per Click model is generally used by most social networks. Marketers can enter the profile information of the target audience from amongst the millions of users on these sites. 2. Brand Awareness: Staying engaged with an online community can help you boost your brand. You can communicate your brand’s vision to a large audience across a social network without spending too much money. Twitter: Any update on Twitter has a limit of 280 characters. The medium is used to share information that has a short lifespan. The Twitter Dashboard provides valuable insight into engagement statistics for all tweets. Important statistics while measuring the content’s performance on Twitter are the number of impressions and number of likes and retweets. 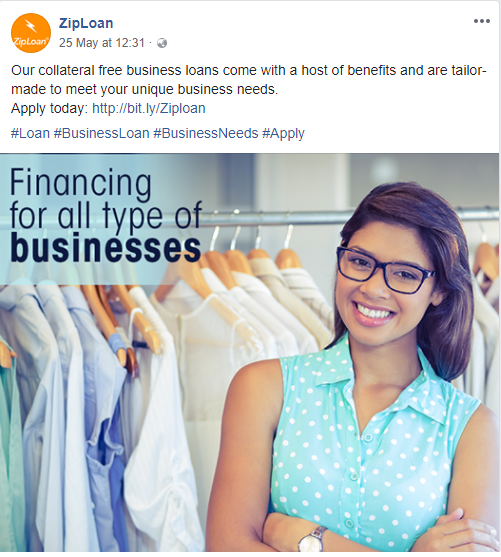 Facebook: With millions of users and a built-in advertising platform, Facebook is any marketers go to social media channel. The News Feed of users is populated with ads that are most relevant to them. Important metrics for measuring the efficacy of a campaign on Facebook are likes, comments, shares and engagement rate of posts. LinkedIn: The number one professional network, Linkedin offers multiple advantages for any company. LinkedIn can be used to attract top talent to a company and can also help one join a community of similar businesses. The key aspects of measuring engagement on LinkedIn posts are impressions, likes, comments, and shares. 2. Create a Buzz: The simplest way to get results on social media is to engage the maximum number of people through your posts. It is necessary to be creative and publish relevant and meaningful content on a regular basis. The use of graphics and designs can greatly aid in the creation of good social media posts. 3 Converse with Customers: Since social networks are hinged on communication it is important to engage with customers on these platforms. The ‘chat’ and ‘messaging’ features on these networks allow one to stay engaged with their audience. Many customers escalate their complaints about products directly on social media. Therefore, it is necessary to resolve complaints and respond to feedback posted by customers on social networks. 1. Search Engine Optimization: Good quality content is a very important part of your SEO efforts. A regularly updated blog with valuable content will help you rank on google. Optimizing it for the right keywords will help your business rank on google search. 2. Communication: Launching a New Product? Opening a new Store? Great! Share it on your blog. A blog is a powerful means to communicate with your customers and publish information about your company in a regular fashion. 3. Customer Acquisition: You started your business to solve a particular problem in the best possible fashion. A blog post can be the perfect way to communicate the strengths of your business and share the unique selling points of your product. A blog post should have Call-To-Action button that can take a customer to the ‘Landing Page’. This fulfils the aim of Digital Marketing. 4. Credibility: Quality blog posts in your niche help you build your credibility and stay ahead of the competition. Readers of your blog will see you as an authority in your business and will convert into paying customers if they require those services. This company has attracted over 56,932 new users via its blog. Few Digital Marketing channels can achieve this level of outreach. In the digital era, Content has become the key to any organization’s Digital Marketing efforts. Be it social media posts, blog posts, emailers, newsletters, advertisements or videos; content is ubiquitous. Content is the currency in Digital Marketing which allows marketers to better reach customers. Content is the key to engaging a customer during all phases of a business transaction. It can help engage with the customer prior to sale, it informs the customer about the noteworthy features of the product and keeps the customer engaged post the sale. Most customers require information before purchasing a product and good content provides this information. It is easy to create content and distribute it to customers because of the rise of self-publishing platforms like WordPress and Tumblr. The internet has made it easy for companies to become publishers and consequently most brands are creating and distributing content to attract readers and customers alike. 1. Search Engine Optimization: The basic function of search engines is to provide valuable information to users based on what they have typed. Good content on your website will help you rank organically for the right keywords. Google prefers websites that are information-rich and provide valuable information to their users. 2. Product Information: So you created a great product and can’t wait to launch it in the market. Wait a minute, how do you think customers will know about your product and it’s beneficial features? The answer lies in good content. Simple, readable and informational content can be utilized to define the best aspects of your product and how it will be useful for your customers. How do I create a Content Strategy for my Digital Marketing efforts? Identify the Customer Persona: Draw up a profile of your average customer. Their income level, educational attainment, lifestyle choices, shopping habits and reading habits. Remember, any content that you generate should have the end reader in mind. Creating content in a vacuum is a colossal time sink and will yield no results. Whitepaper: If you want to be seen as a thought leader in your industry, a whitepaper is a perfect way to begin. A whitepaper typically takes a look at the issues facing any particular industry and then focuses on how your company is uniquely positioned to solve those issues. You can provide a Whitepaper to a customer in exchange for their contact details. You can then use the contact details of those customers to send them information about your product/service and convert them into paying customers. E-Books: An e-book is a great bet if you have a unique business model and want to educate your customers about your product. In simple terms, an e-book is a longer version of a Whitepaper and seeks to establish your company as an authority in its sector. Infographics: Visual content is appealing and is preferred by most readers. 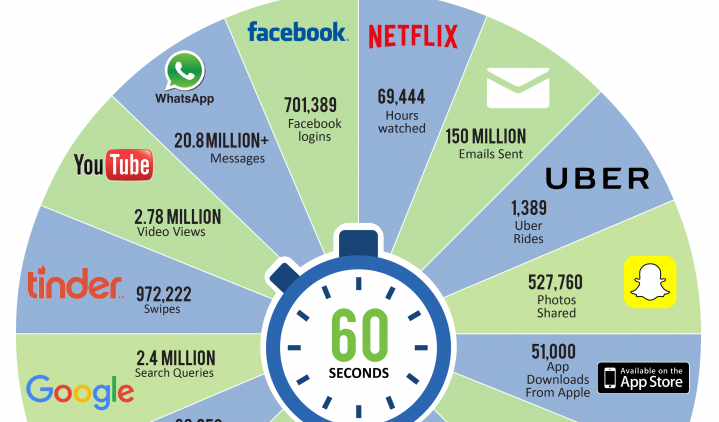 Marketers can display a lot of data in a single infographic. Another factor is that infographics are highly shareable across social platforms and can be promoted very easily. Video: Research suggests that people are fairly rigid in the format in which they consume content. Some people prefer text and other prefer video. Therefore, it is crucial to implement videos as part of content strategy. Videos can be used to promote your product, build engagement and deliver complex information in a simple and appealing manner. 3. Create a Content Calendar: A content calendar provides a brief into what type of content will be created and the frequency of distributing the content. A calendar should be streamlined so that the necessary content is available for different campaigns. Content is set to grow at a phenomenal pace and therefore it is important for your business to have a good content strategy for Digital Marketing. Previous article Are Public Sector Banks Important Lenders For MSME’s ?